It is unusual to see a spy drama that is completely devoid of both tension and excitement, or in fact drama? 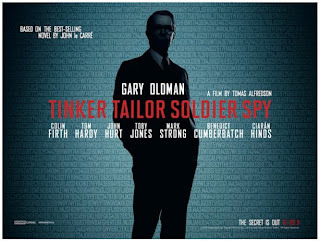 In fact the very informative introduction to Tinker Tailor Soldier Spy (2011) by Lindsay Taylor at Monday nights RBC Film Club of the latest adaptation of John le Carre most famous novel was far more interesting than the movie that followed. Responsible for the mesmerizing Swedish vampire film Let the Right One In (2008) Tomas Alfredson’s first English speaking film is set in London in the early part of the 1970’s. 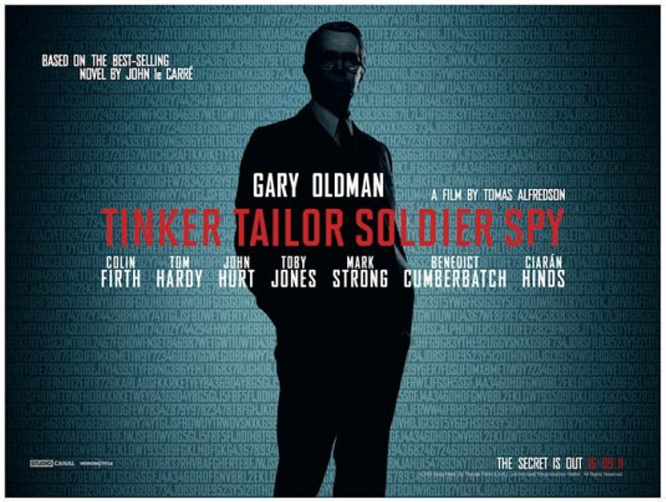 Its simple story involves a British intelligence officer George Smiley (Gary Oldman), a rather drab and insignificant middle-aged man with matrimonial problems who is recalled from an enforced retirement to investigate a suspected soviet mole in the highest reaches of MI6, the British overseas intelligence agency. This double agent is thought to be one of Smiley’s five former colleagues. It’s maybe unfair to compare this version with the brilliant 1979 BBC TV adaptation that starred Alec Guinness in the lead role. That version had a 290-minute running time with Alfredson’s movie having to cope with a restricted time allowance, therefore not permitting character development. Film critic Philip Kemp stated “the final unmasking to which the whole film should be building lacks both dramatic and emotional impact and the ending feels fudged” Kemps to kind, he’s far more forgiving than I am. I found the whole thing flat and certainly not engaging. An espionage drama should be involving, carrying the viewer along a path of expectancy and intrigue but the screenplay was never good enough to do this. My biggest problem with this film however is that it never made me care enough about any of these people or there closed upper-class world of overgrown schoolboys pretending to be concerned about what happens to the rest of us rather than, as it would seem, protecting the establishment. At least Harry Palmer was someone you could have you an affinity with.